I'm not used to having a project thread, I've forgotten to update it! And I replaced my O2 sensors, the bank 2 sensor was clearly fouled, it looked aweful. Now my O2 voltages are consistent between banks. Last edited by rkneeshaw; 07-03-2017 at 04:38 PM. Tie rod day. Took me like 30 minutes to do both. Nice easy job. Alignment is scheduled for wednesday. I didn't think the old tie rods were that bad, but the steering feels a lot more stable. Did the RTABs, outer rear control arm bushings, vanos, and spark plugs last year. Last edited by rkneeshaw; 07-03-2017 at 04:41 PM. How's the quality of those rods? Top notch. All the threads came protected with plastic caps, all joints are real nice and tight and pre-greased. 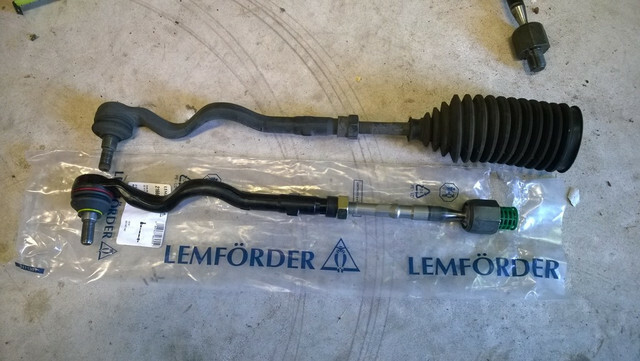 I think Lemforder supplies the OEM units, my stock rods had the same red ring around the rubber boot on the rod end (its just dirty in the picture). 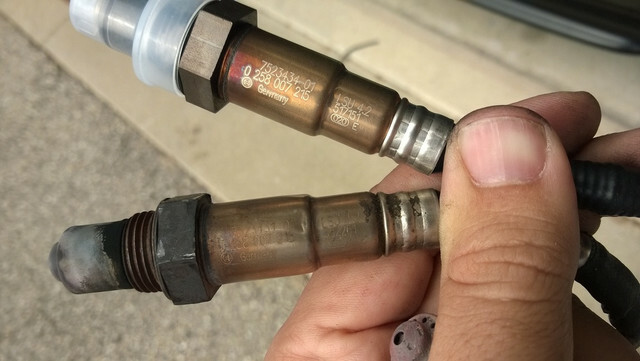 I thought the M3 pump used clip in fuel connectors not banjo bolts? 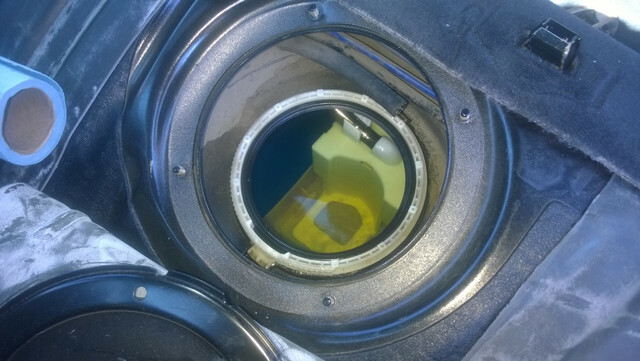 The M3 fuel line uses a clip on the end of it, but the hose barb on the fuel pump does not. 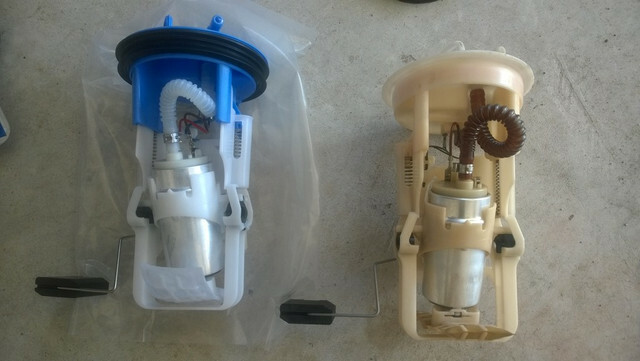 In fact, the top of the M3 fuel pump looks EXACTLY like our stock fuel pump in every way, except its blue rather than white. The hose barbs are exactly the same.